Many of Global Mobility Solutions’ clients have transferees who may be participating in a home sale program as part of their relocation package and will require a Relocation Appraisal for their home. This type of appraisal has a different purpose and use when compared to a Mortgage Appraisal. An understanding of these differences will help clients as they work with their Relocation Management Company to manage a successful relocation. GMS spoke with Mark A. Gronke, Vice President at Fidelity Residential Solutions who agreed to share his advice and guidance on the differences between a Relocation Appraisal and a Mortgage Appraisal. What are the Differences Between a Relocation Appraisal and a Mortgage Appraisal? A Relocation Appraisal will provide an estimate of the anticipated sales price. By comparison, a Mortgage Appraisal will provide an estimate of the home’s market value. Some homes may appraise for more than the contract sales price during a Mortgage Appraisal. A Relocation Appraisal only looks at the anticipated sales price, not the value of the home. The decision making timeframe for a Relocation Appraisal is short term. The timeframe only covers up to 120 days. This accounts for the planning, review, and implementation of the transferee’s relocation process. A Mortgage Appraisal has a decision making timeframe that is long term. The timeframe may cover up to 30 years, the life of a 30 year mortgage. Mortgage lenders look into the future to ensure the home’s value will remain intact over the life of the mortgage. The intention of a Relocation Appraisal is solely to facilitate corporate relocation. The client receives the Relocation Appraisal. The client may be looking at indicators that relate to how long the home may reside on the market. By comparison, the intention of a Mortgage Appraisal is to facilitate mortgage lending. A mortgage lender receives the Mortgage Appraisal. The lender may be looking at indicators that refer to the value of the home and its condition. They also may be looking at other factors when considering lending on the property. A Relocation Appraisal would be completed using the Worldwide ERC® Summary Appraisal Form (updated 2010). This would be completed by a trained and licensed real estate appraisal professional following the ERC’s specific set of definitions and guidelines, who is working for the client. A Mortgage Appraisal would be completed using the Uniform Residential Appraisal Form (1004). This would be completed by a trained and licensed mortgage appraisal professional, who is commonly working for a licensed Appraisal Management Company. A Mortgage Appraisal notes the design and appeal of a home. By comparison, a Relocation Appraisal emphasizes design and appeal as critical considerations. 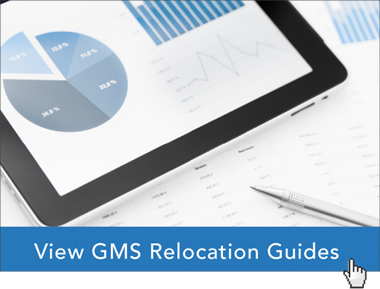 Since the Relocation Appraisal has such a short time frame of only up to 120 days, these factors may have a major impact on the corporate relocation process. For a Relocation Appraisal, the marketing time is not to exceed 120 days. This timeframe only reflect the period covering the relocation process. A Mortgage Appraisal’s marketing time does not have a limit, as it does not correspond to a specific, time-defined process. While there may be specific dates related to mortgage terms, the ability to change those dates or accept a lower interest rate in return for paying additional points could extend the timing, if the mortgage lender is in agreement. Marketing a home occurs after the date of a Relocation Appraisal. However, a Mortgage Appraisal is conducted after a home has already been on the market. By the time a Mortgage Appraisal is conducted, there could have been changes to the marketing program or a host of any number of other factors. This information may impact the market value of the home, and in turn the Mortgage Appraisal. A retrospective analysis for an appraisal is an overall review of factors that could impact the appraisal’s results, such as any risks that could affect the sale price of the home. This information is used for forecasting purposes. A Mortgage Appraisal does not provide for any forecasting in a retrospective analysis. A Relocation Appraisal, however, includes a forecasting component. This is important for clients so they can understand aspects of the Relocation Appraisal that may have future budgetary impact. Employers should expect that transferees who may be part of a home sale program during a relocation may not understand the differences between a Relocation Appraisal and a Mortgage Appraisal. The employer should understand that they are the client for the Relocation Appraisal. As a result, the employer will receive the Appraisal from the professional. Employers should understand that the Relocation Appraisal is not a Mortgage Appraisal. Employers should communicate guidance for their transferees who may have questions regarding their home’s Relocation Appraisal. Employers should work with their Relocation Management Company to understand the Relocation Appraisal and how it relates to their company’s relocation and home sale program. Global Mobility Solutions’ team of global relocation experts has helped thousands of our clients with their Relocation Appraisals. We can help your company understand how a Relocation Appraisal relates to your company’s home sale program.